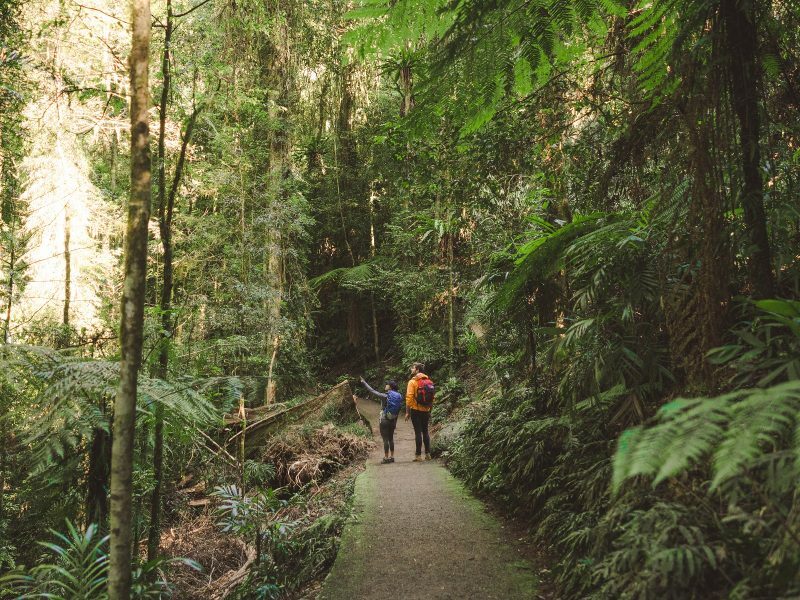 Over the Blue Mountains from the coast and just a little bit north is a national park that’s almost as unknown as the famous pine tree named after it; Wollemi National Park. 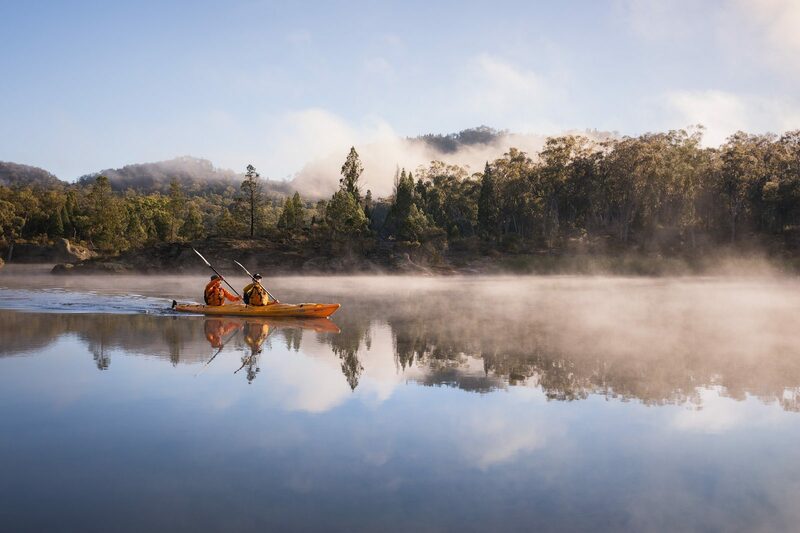 It’s worth spending a weekend in the Wollemi. 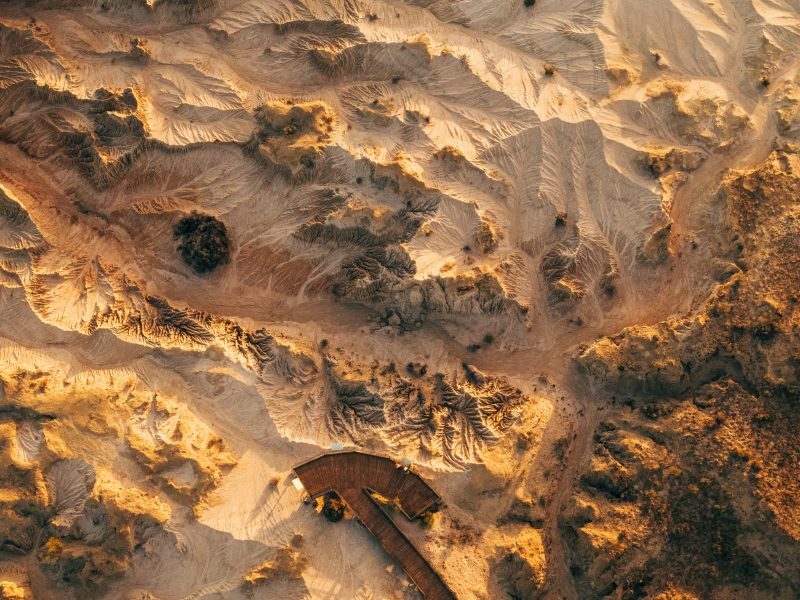 Read on to learn about two stunning campgrounds where you can set up base, explore to your heart’s content, then kick back under the stars with your mates. Setting up camp at Newnes campground. 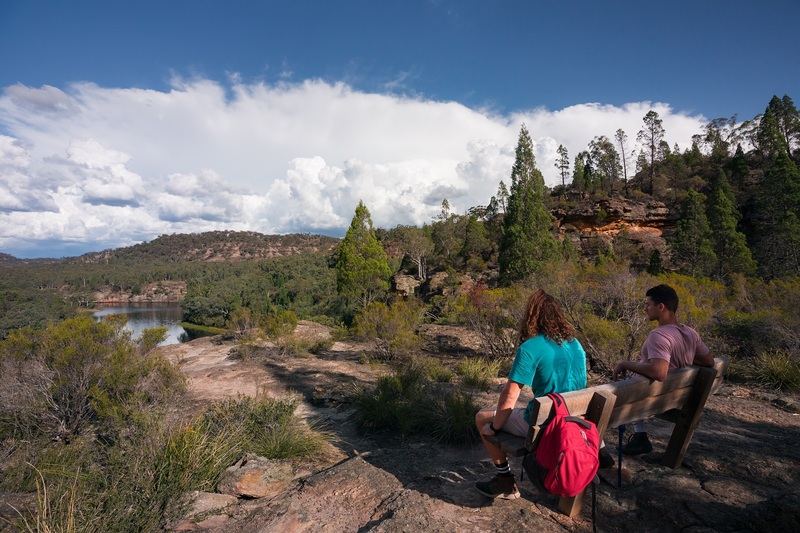 Nestled deep in the Wolgan Valley, surrounded by soaring sandstone walls, Newnes Campground is the perfect hideaway. The cliffs keep the sun off your tent for a sleep in, but don’t bet on the birds staying quiet for that dawn chorus. Wildlife’s the theme – be sure to pack your food up nice and tight because the local wallabies will be more than keen to try your lunch. #dontfeedit – You shouldn’t feed the animals, here’s why. The high cliffs at Newnes block out the light from Sydney, making the stargazing truly extraordinary. Pack some firewood for the fire pits and kick back under the galaxy. Campsite facts: Free! 3hrs from Sydney, 2WD accessible (unless wet), BYO water, firewood, rubbish bags and toilet paper – luckily there are drop toilets available. You don’t have to book and there are 80 spots, but you’ll still want to get in early on popular weekends. Go midweek and you might get it to yourself! 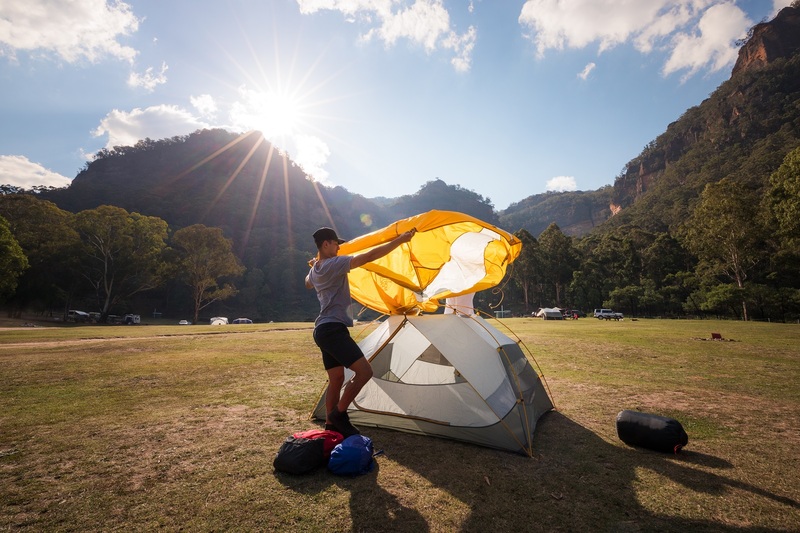 There’s a 4WD accessible camping area known as the Cricket Pitch campground that you can reach by driving through the sandy Wolgan River. Glow worms are nature’s fairy lights. These incredible critters are the ultimate crowd pleaser, but ironically, one of the best places to see them is a man-made tunnel. 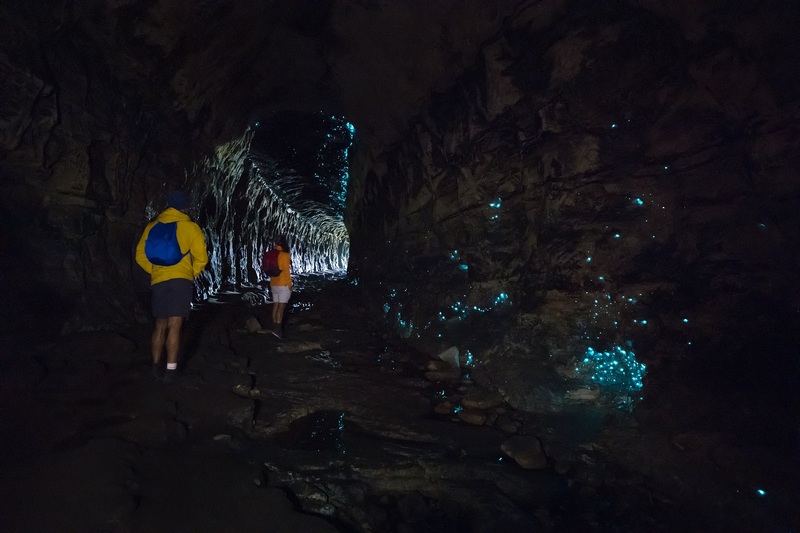 Originally for trains to the shale mining town of Newnes, the Glow Worm Tunnel offers up to 400m prime glow worm habitat. Help The Glow Worms Stay Lit! Make sure you don’t shine your torch at the glow worms, you won’t be able to see them if you do and it’s bad for the little guys to be exposed to bright light. 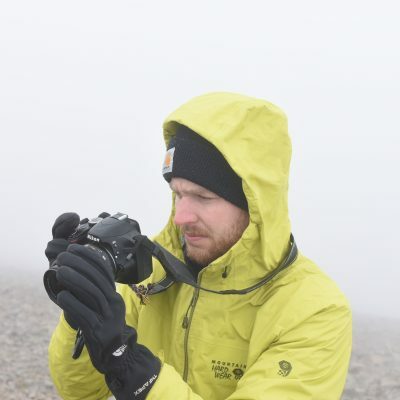 Let your night vision do it’s work and make sure to look, but not touch. You can see these fellas do their best Milky Way impression as part of the 7.5km, 4-hour Wolgan Valley circuit. On this epic walk you’ll climb out of the valley, marvel at rugged pagodas and soak up views back to camp before things get dark and magical. Easy Option: There’s an easier 2km walking route if you’re up for a drive. Depending on where you’re coming from, it could be worth visiting the Glow Worm Tunnel on your way in or out of Wollemi National Park. 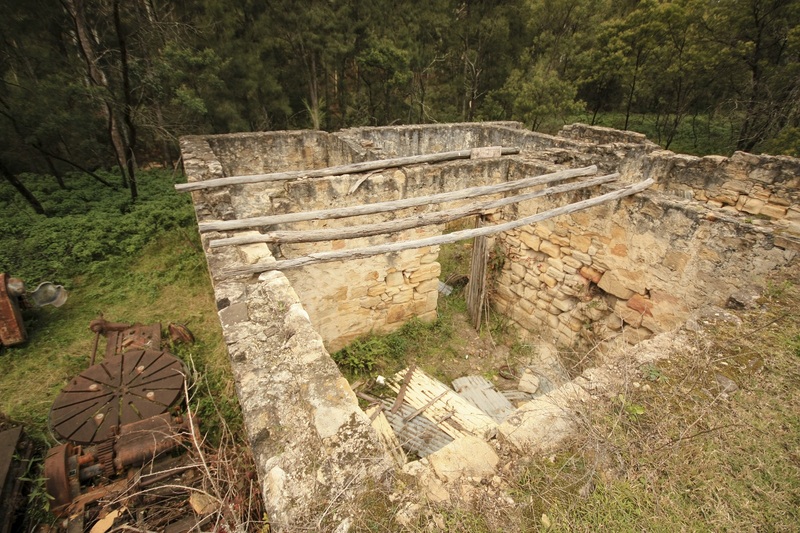 When the shale miners left the Wolgan Valley they abandoned their buildings and ovens, leaving the clean-up job to the bush. 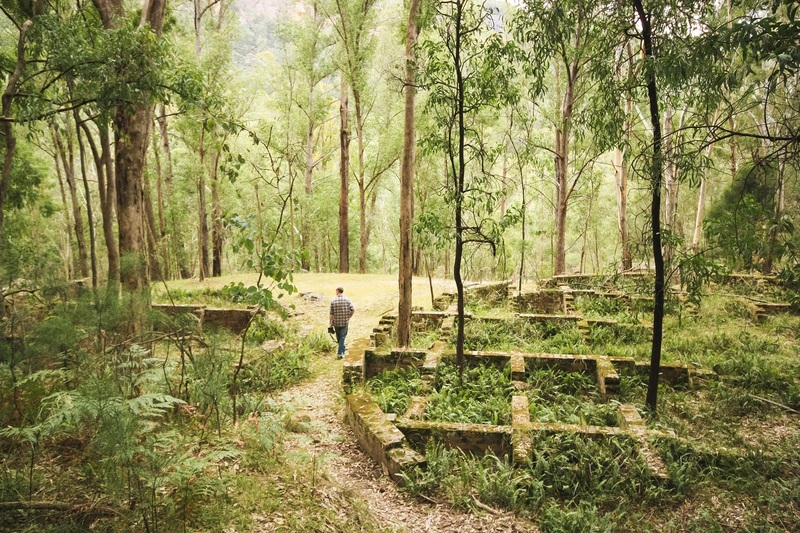 Now the ruins make for a strange sight amongst the gums. Brick walls crumble and coke ovens from a hundred years ago resemble igloos made of stone. 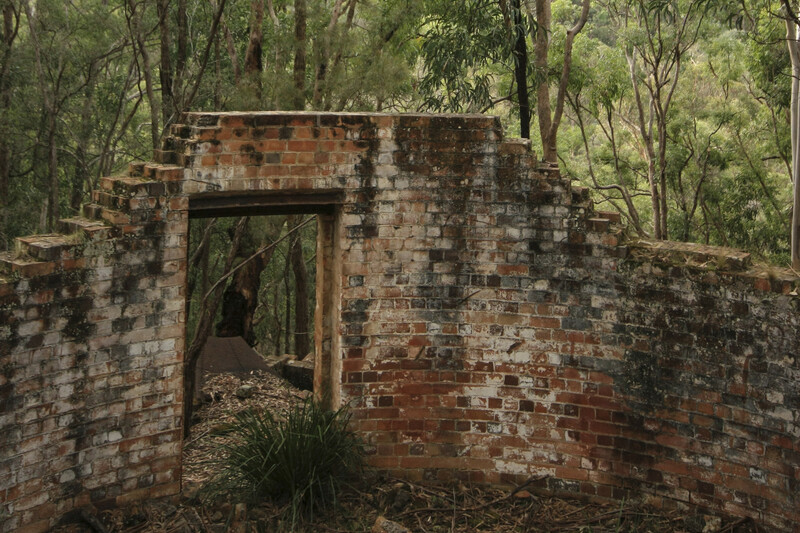 To take a stroll through the historic Newnes Industrial Ruins, walk from Newnes campground up to the ford in the river and rock hop across. It’s about a 3.5km round trip from the campground. Make sure you stick to the path so you protect the relics and stay safe (you don’t want to risk falling down a hidden abandoned mine shaft!). Ganguddy-Dunns Swamp campground is truly spectacular. A 100-year-old weir created a large body of water in the shadows of the iconic rock pagodas and cliffs that dot Wollemi National Park. With no marked spots you’re right to find a nook to set up adventure HQ. Campsite facts: Ganguddy (Dunns Swap) is $6 a night per person (bring change) but can’t be booked in advance. 2WD accessible, BYO water, firewood, rubbish bags and toilet paper – there are drop toilets available. You don’t have to book and there are 80 spots, but you’ll still want to get in early on popular weekends. 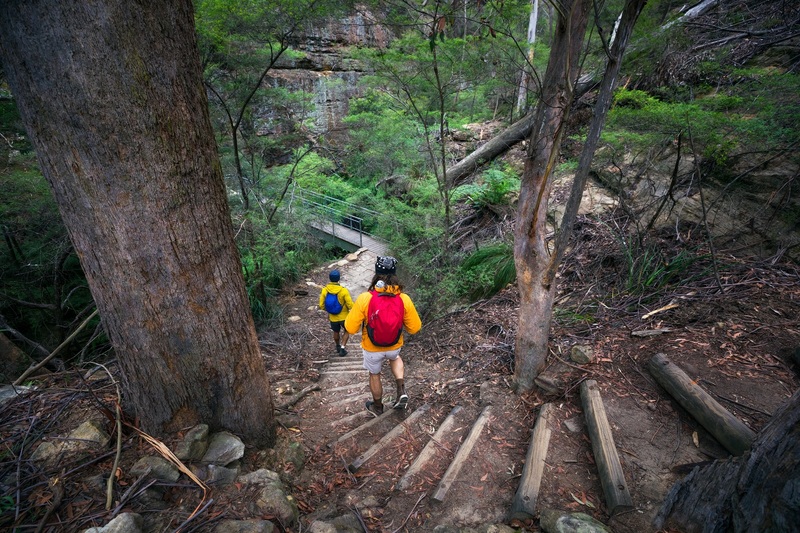 Wollemi National Park’s iconic pagodas can’t be missed. 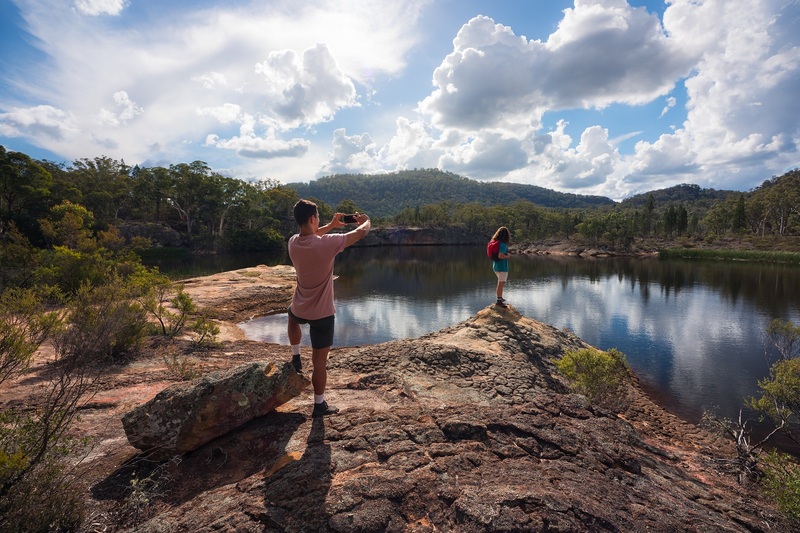 The 2.5km Pagoda Lookout walk starts with the Weir Walk where you can admire the scribbly gums and spot water birds like the purple swamp hen. Take a peek into the water near the weir, you might even see long-necked turtles or a platypus! Undivided attenetion and grippy shoes to get to the top. 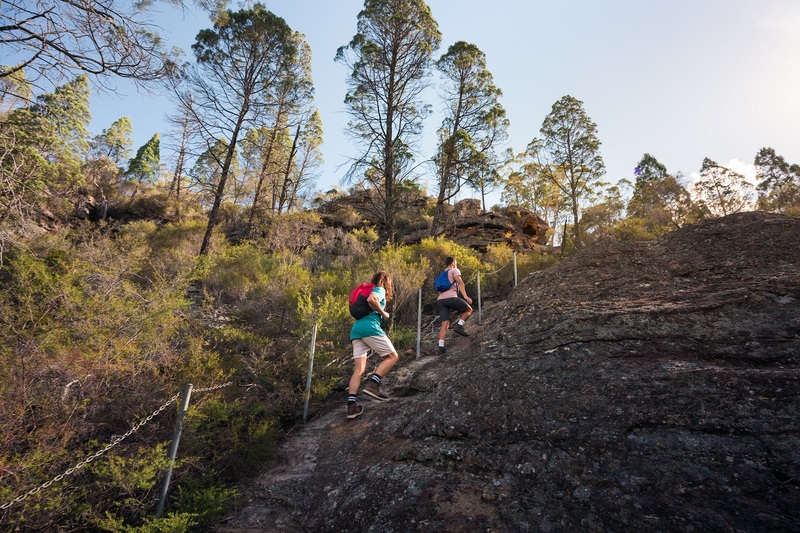 Halfway to the Weir, the walk climbs steeply for 120m to the top of the pagoda outcrop, this is where grippy shoes and your undivided attention will come in handy. If you’ve come prepared with some water and food, you can continue along the Long Cave circuit to total a 4.5km journey. Short walks dot the Ganguddy-Dunns Swamp campground. 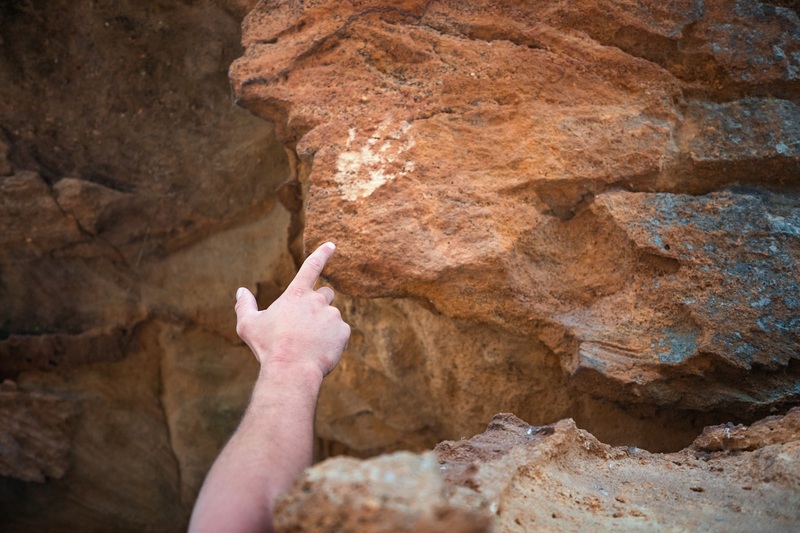 One that leaves from the picnic area passes Aboriginal hand stencils thought to be 1000 years old. After a big walk is when camping next to water really comes into its own. Take a dip in the river, or if you’re really cluey, inflate that lilo you packed and float your troubles away. Swim Safe: Wild swimming is awesome, but it’s no pool. Stay safe when swimming in lakes and rivers by following these simple tips. 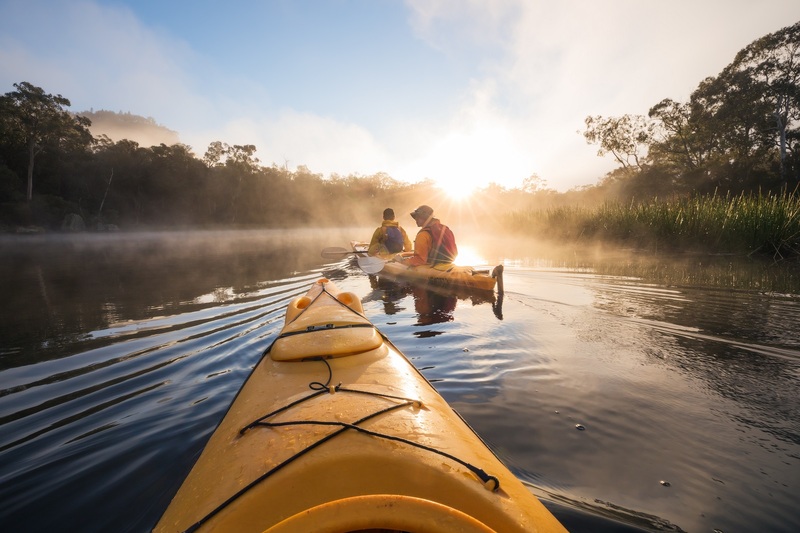 If you really want to find some seclusion, there’s no faster way to get up the river than in a kayak. Sunrise is the time to go, listen to the birds wake up, watch the mist rise off the water and feel the sun warming the cliff walls around you. 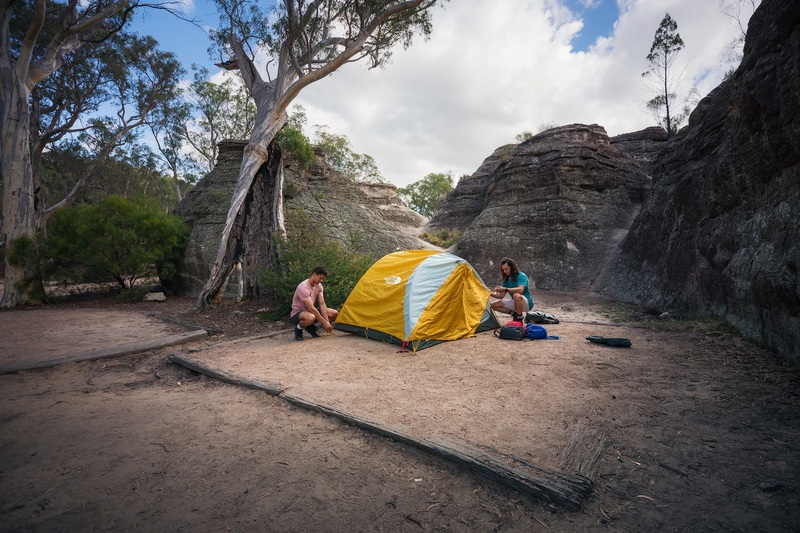 There’s also Coorongooba campground another great base near Glen Davis. Let people (your friends and family) know your plans and check in with the closest local office to let them know you’re visiting the park.